Thyme is a flavorful spice considered essential in many dishes. The first recorded use of thyme actually occurred in ancient Egypt, when thyme added its unique scent to the embalming bandages. The Romans depended on thyme to lend its unique scent to cheese and liqueurs. During the middle ages, thyme was placed in pillow and used as a sleeping aid. Supposedly, this practice would also ward off nightmares. Thyme is used either fresh or dried. Although the fresh thyme, in the form of bunches of sprigs is most flavorful, it does not last long, tending to go off within a week. Although both stems and leaves can be used, the stems are often discarded in favor of the leaves. Dried thyme can be substituted in any recipe specifying fresh thyme, but quantities can be difficult if the amount of thyme is specified by the number of sprigs. 1. Mix thyme, paprika, garlic powder, salt, onion powder and pepper in small bowl, rub mixture over both sides of steaks. 2. Using medium heat, melt butter, add shallots and simmer for one minute. Add mushrooms, continue cooking. When mushrooms are tender add red wine and simmer until the majority of the liquid has evaporated. Keep warm while frying steaks. 3. Using a separate skillet, heat oil on medium high. Fry steaks about 7 minutes per side, based on personal preference. Place on plate, let rest. Top with mushroom mixture and serve. 1. Cook bacon in large pot until crisp. Remove bacon, leaving only 3 T of drippings in pan. 2. Use bacon drippings to sauté onions. Add the potatoes and broth and simmer ten minutes. 3. Add chicken, thyme, and corn,. Cover. Simmer about 15 minutes until the chicken is cooked and the corn is tender. 4. Add half-and-half and simmer for 2 minutes. Season with salt and pepper to taste. Ladle into bowls, and sprinkle with the scallions and bacon. Serve. 1. Combine 1 ½ cups flour, un-dissolved yeast, sugar, salt, and herbs in large bowl. 2. Heat milk, water, and ¼ cup butter until very warm, stir into dry ingredients. Add beaten egg and enough remaining flour to make a soft dough. 3. Using a lightly floured surface knead until smooth and elastic, about 4-6 minutes. Cover; let rise surface 10 minutes. 4. Divide dough into 3 equal parts. Roll each into a 30 inch rope. Braid ropes; pinching ends to seal. Tie knot in center of braid; wrap ends around knot, in opposite directions, and tuck under to make round loaf. Place on greased baking sheet. Cover; let rise until double. 5. Bake at 375 for about 30 to 35 minutes or until done, using foil to cover loaf during last 10 minutes of baking to prevent excess browning. Brush remaining melted butter over loaf. Sprinkle with additional herbs, if desired. Let cool on wire rack. 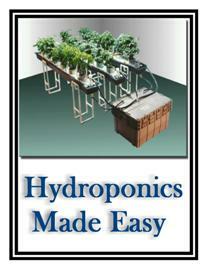 For more information on growing your own thyme click here.